Fine Fabrics of Santa Barbara - FineFabrics.com Q&A - ThirtySevenWest ThirtySevenWest - Creative ideas about personalized custom ribbons, woven tags and labels, personalized gifts and more!!! We want to share with our readers a company that could be your source for fabric and sewing notions for all of your crafting and sewing needs. Q: How did you get started in the fabric industry? A: When I moved to Santa Barbara there were 9 stores where one could buy fabrics of different types and qualities. 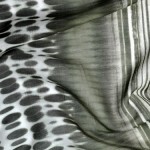 In 2004, when I opened Fine Fabrics of Santa Barbara, and launched FineFabrics.com there were none for fashion fabrics. I knew that I was not alone in our community, and that Santa Barbara was not unique in starving its citizens for unique, quality fabrics, buttons, notions and all the items one requires for creating their own fashion statement. I launched to fill a need. Q: How did you come up with your company name? A: One of the hats I have historically worn is that of a brand manager for a sporting goods company with international distribution. With FineFabrics.com I wanted to limit my business advertising expenditures, and save those funds for investing in the highest quality product I could find. I chose a name that was descriptive, that would easily communicate what we are. I bought FineFabrics.com for $800 from a website name broker in Hong Kong, and to insure no one could one up us, I bought FinestFabrics.com for $400. A: We launched on the blue moon, July 31, 2004. Q: What inspires you to pick the fabric you do? A: My clients and my breath. We have many repeat, regular clients. I have learned their taste and colors. If a fabric makes me catch my breath when I see it, and I’m still thinking about it after I look away, and it matches the desires expressed by my clients, then I know it belongs as part of the collections of FineFabrics.com. Q: Which is your favorite pattern? A: Fabric print? Weave? Or, sewing pattern? Personally, my color group is best described as gold and bold. Also, I am tall, so big, graphic prints work for me. I prefer interesting weaves, textures and artistic graphics over cute. http://finefabrics.com/product/G/111210168.html out of which I would make Vogue Pattern 7854 – long version – with pants to match. 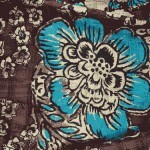 http://finefabrics.com/product/G/111210187.html out of which I would make a maxi dress or bathing suit cover up. Silk cotton blend works well for that. http://finefabrics.com/product/G/111217195.html out of which I am making a dress using – Vogue pattern 1220 – a real exercise in pattern matching. and http://finefabrics.com/product/G/110525000193.html out of which I’m making a loose fitting, comfortable, jacket, pants and tank. I think its going to be a linen year, so we’ll be stocking many colors of handkerchief linen and linen knits this next season. Q: What is your most popular fabric? A: Everyone loves basic silks. 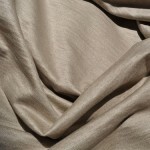 We carry or can procure within a few days a variety of weaves, silk charmeuse, silk chiffon, 4-ply silk crepe, satin back crepe, heavy or pebbly georgette, habotai, duoppioni, shantung, duchess, crunchy matte razmir, and taffeta in over 300 colors, from some of the finest mills existing today. We sell more of these than any of our interesting finds, but then, these silks can be consistently found, and our interesting finds are only available in limited amounts. That may be skewing preferences a bit. Q: Do you design any of your own fabric? A: We work with clients to design combined uses of our fabrics, but we have not yet ventured into designing our own fabrics. Q: Do you sew or do any other crafts with your fabric? A: Yes. I have since I was a child made most of my own clothes. When inspiration gets the better of me, I will sew for clients. Fine Fabrics of Santa Barbara works with a select group of dressmakers, who are schooled and experienced in working with finest quality fabrics. Q: How often do you get more styles/designs in? A: We add to our collections on an almost weekly basis. We try to stay on top of adding to FineFabrics.com daily, but many pieces are sold through the store before making it online. Q: I often see the term Fat Quarterly, what is that? A: Fat Quarter – it is a term used for purchasing fabrics for quilts. 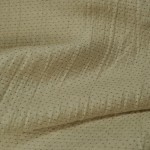 Its a cut of fabric that measures 18″ x 22″, or 1/2 the width of a 44-45″ piece of cotton, that is 1/2 yard in length. A: I have some designer clients that choose to have me source fabrics for them, but our service is designed for individual client purchases. Q: What are some of your other popular products? A: Buttons, ribbons, trims, and notions. Q: Please feel free to give us any other information you would like us to include. 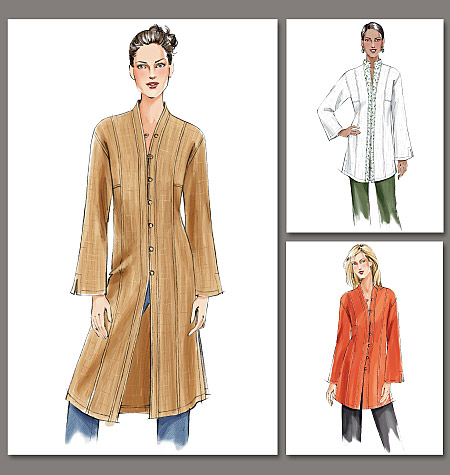 A: Fine Fabrics of Santa Barbara and FineFabrics.com is the choice for fashion creators who want to use only the Finest Ingredients for Fashion. Thank you again for the opportunity to share our wares with your readers. This entry was posted on Tuesday, March 6th, 2012 at 5:54 pm by Linda	and is filed under Featured Guests. You can follow any responses to this entry through the RSS 2.0 feed. Both comments and pings are currently closed.